As the building information modeling manager for TDIndustries’ Phoenix office, Bob Wright lives and breathes AutoCAD and Revit daily. 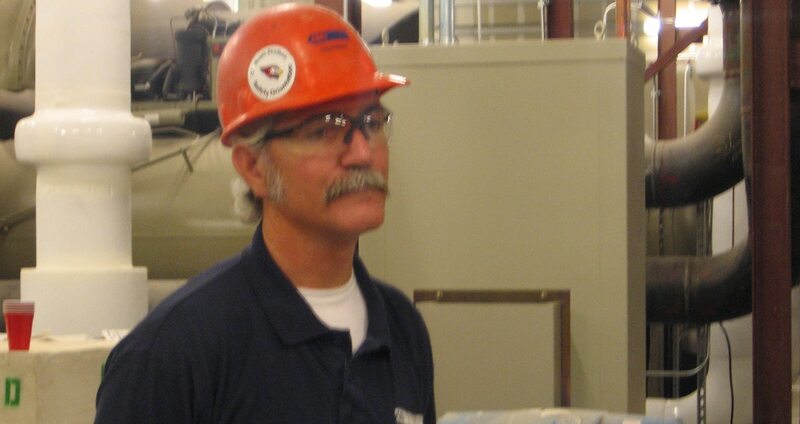 Focusing primarily on commercial HVAC, Wright oversees a team of three trade coordinators, one of each for plumbing, piping, and ductwork. 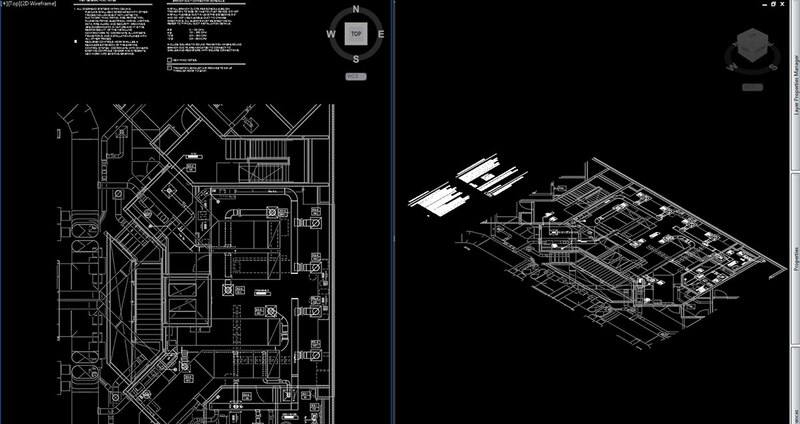 The team has put one of AutoCAD’s most exciting features to the test: PDF import. According to Wright, as a project progresses, the architect or engineer will sometimes make smaller revisions and not issue a full set of drawings, but maybe a sketch or partial plan instead. CAD file after PDF conversion. Wright’s team found the biggest impact of the PDF import feature on a recent project for a behavioral health center’s build out of a kitchen and cafeteria. 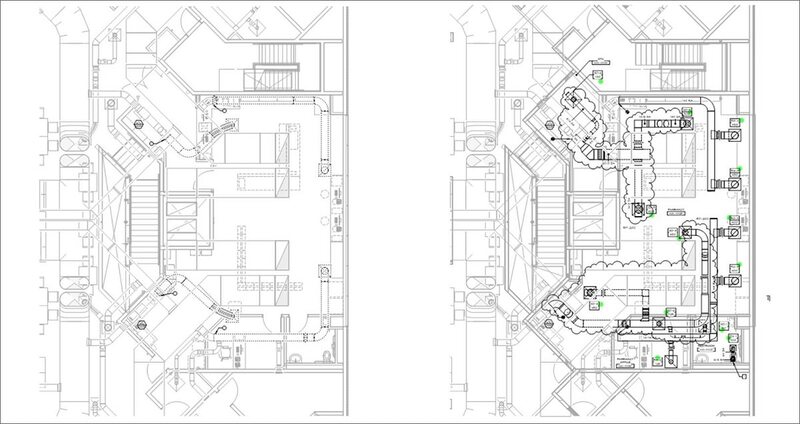 Only new plans were issued for just those areas—all without a Revit model or any CAD background. So they converted those PDFs to the AutoCAD file format and overlaid them for editing. 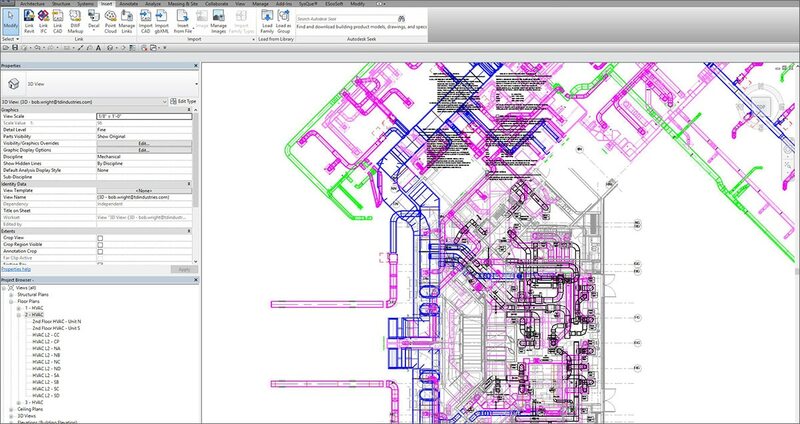 CAD file used in Revit to complete revisions and coordination. And, as a user of AutoCAD for over 20 years, he certainly knows the product and has grown with it.